Bruce’s COOL SUN SCREENS, LLC uses Phifer SunTex 80 & 90 exterior sun control fabrics. SunTex exterior shading fabric is made of strong vinyl-coated polyester. Developed originally for use in outdoor furniture , SunTex is mildew an fade resistant and needs only an occasional cleaning with mild soap an water. Ideal for use as a shading fabric on windows, doors an porches, SunTex is also very durable an pet resistant. Blocks up to 80% of the sun’s heat. Comes in all sizes from 36″ to 96″ an comes in three different colors; Charcoal, Bronze, Grey and Stucco. Blocks up to 90% of the sun’s heat. Comes in all sizes from 36″ to 96″ an comes in three different colors; Charcoal, Bronze, Grey and Stucco. Special Order ONLY. Solar Screens reflect, absorb and dissipate a large portion of the sun’s heat and glare before it reaches an penetrates the glass surface. The most effective way to control the sun’s heat and glare is to stop it before it enters your window. Once the sun’s rays enter they are absorbed and begin to radiate throughout the room in the form of heat. Much like a big shade tree, exterior shading will help reduce your cooling costs, reduce the load on your air conditioning, and will help reduce glare and fading. 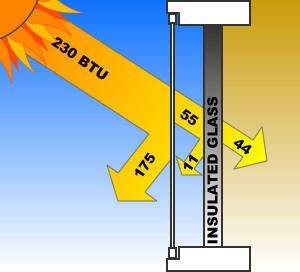 Some of the amazing things Solar Screens can do for YOU! Investing in Solar Screens can save you money by lower your monthly power bill. Your house will stay much cooler with Solar Screens shading its windows, therefore your A/C will not have to work as hard It installs like insect screening, therefore, blocks insects from crawling through cracks in window frames. Blocks the heat, not the view! Reduces glare for added comfort. AND IT COMES WITH A 10 YEAR MANUFACTURER WARRANTY!